The Germano Ettore estate lies on one of the most important crus of Serralunga d Alba named Cerretta, a hill with a wide winegrowing area facing South, South-West. Germano’s 6.6 hectares of vineyards are dedicated to the cultivation of grape varieties such as Chardonnay, Barbera, Dolcetto and Nebbiolo, while a smaller area is reserved for Riesling and the indigenous white grape Nascetta. Sergio and his wife Elena run the show, from viticultural to winemaking aspects as well as taking care of sales. Sergio’s wines have been steadily improving for the last decade and today we are proud to represent one of the most talented winemakers from Piedmont. Having all of his red vineyards situated within Serralunga, enables Sergio to make characteristically powerful, muscular and intense wines, that are the biggest, richest and most long lived of all Barolo. Using what may appear to be very modern techniques with stainless steel much in evidence, the driving force behind the wine making here is actually solid tradition. Fermentation is short, around 12 to15 days, in open wooden fermenters and maturation is completed in a variety of barrel sizes made from up to two year old French oak. The Barolos are mineral, earthy and complex with very finely grained tannins, and depending on the vineyard size, touches of cocoa and hints of violet can also be found. 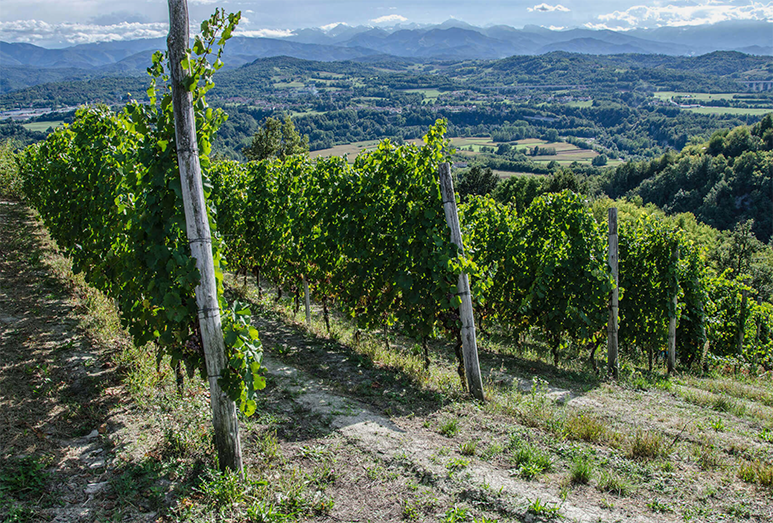 The Germano family is blessed with some of the very best vineyards, owning vines in Lazzarito is a true grand cru, Cerretta, Prapò and now, thanks to an inheritance, even the legendary Vigna Rionda, which many experts consider the single greatest Barolo vineyard of all. The single vineyard Barbera Vigna della Madre, is produced in the same way as the Barolo but inevitably has brighter, blackberry, and coffee undertones while the basic Barbera is fresh, clean and enjoyable. The Dolcetto is big but not over extracted.